Miami-Dade Public Library System also won a National Award for this Essay Contest featuring Unsung Heroes. 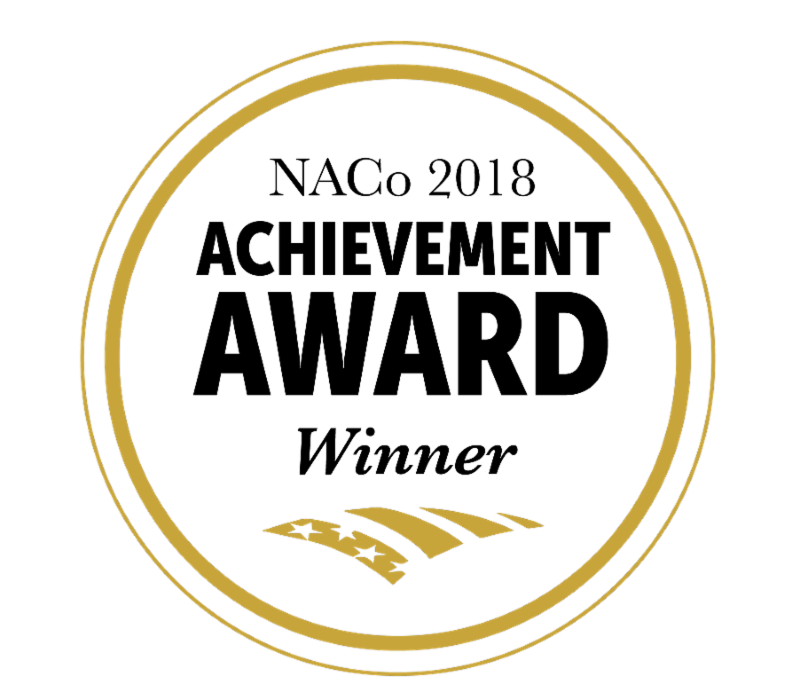 NACo, National Association of Counties, awarded this honor. I also made a local Television experience and am branching out with more public speaking. 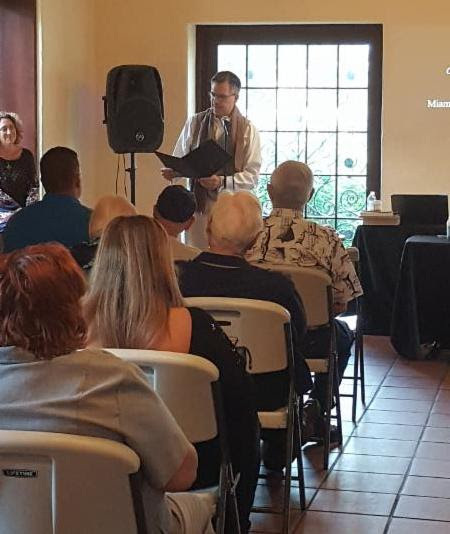 As our staff grows it has afforded me the luxury of being able to venture out into the South Florida community a bit more and share the message of Glenn Curtiss and his contributions to aviation, invention and the 1920’s land boom in Miami. Mark your calendar for our public speaker in June. 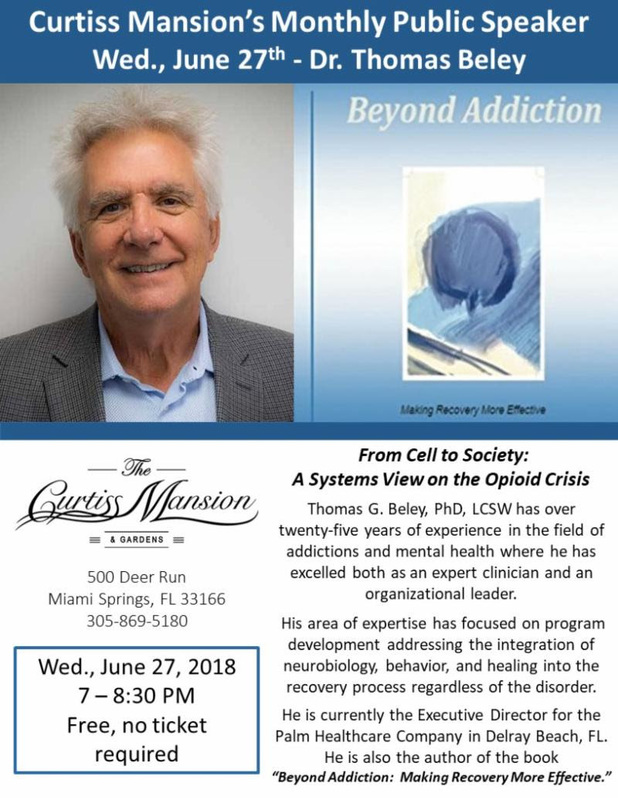 Dr. Thomas Beley will be here on Tuesday night – June 27th. Dr. Beley will be speaking on the ever growing Opioid Addiction crisis. Camp Invention is June 18-22 here at The Curtiss Mansion. There are only a few slots left. Please email CampInventionMiami@gmail.com if you are interested in registering your child. 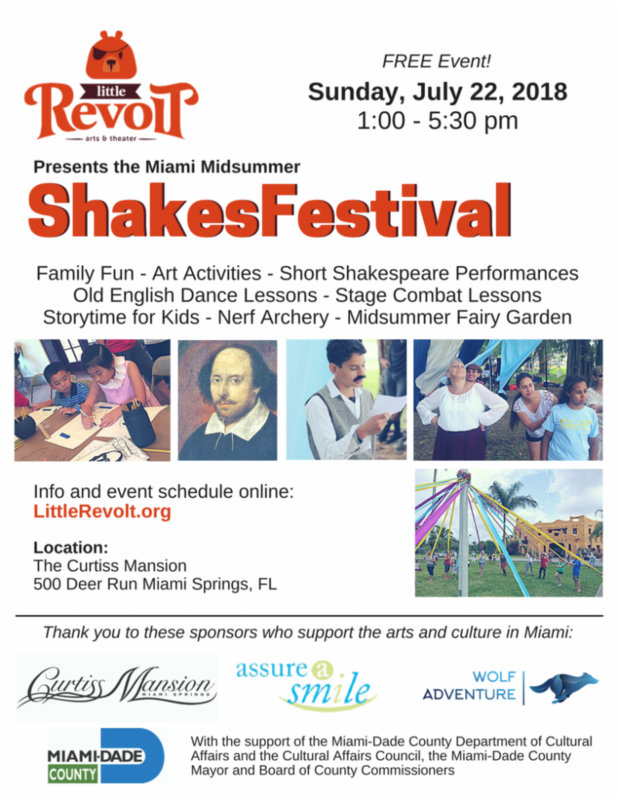 Please enjoy the newsletter – below you can catch up on last month’s events and see what’s around the corner – including Little Revolt’s ShakesFestival on Sunday, July 22nd – Fun for the Family and Free. Our Saturday Tours continue to grow – we are averaging 15-25 visitors every Saturday at 10am for this historical 1 hour tour. 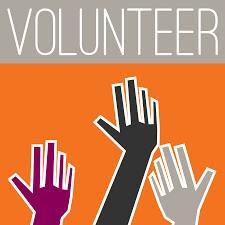 Anyone interested in being a docent – please let me know. Wishing Father’s reading this a joyous Father’s Day and may you all have a Happy 4th come July ! Miss you Dad – Les “Chief” Jester. with History, Song & a visit from Glenn himself! We were excited to celebrate Glenn Curtiss’ birthday with everyone one who came out this month! We heard our Executive Director talk about Curtiss’ contribution to the Florida land boom of the 1920s, and his continued legacy in our community. 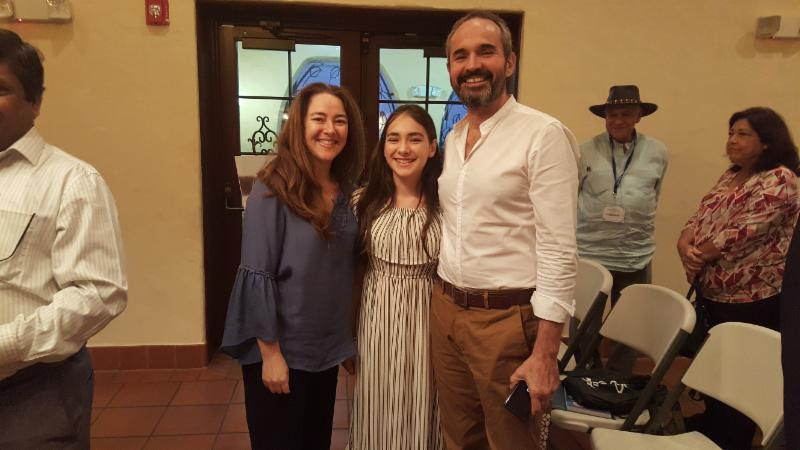 A special thanks to Sofia Alpizar for her beautiful singing of ‘Blue Skies’ and ‘Ain’t Misbehavin’. As well as Michael Scaglioni, who joined us as Glenn Curtiss. He read an account of the first flight from Albany to NYC, in Mr. Curtiss’ own words. Last but not least, thanks to Sam Chesser for his assistance and ongoing support. 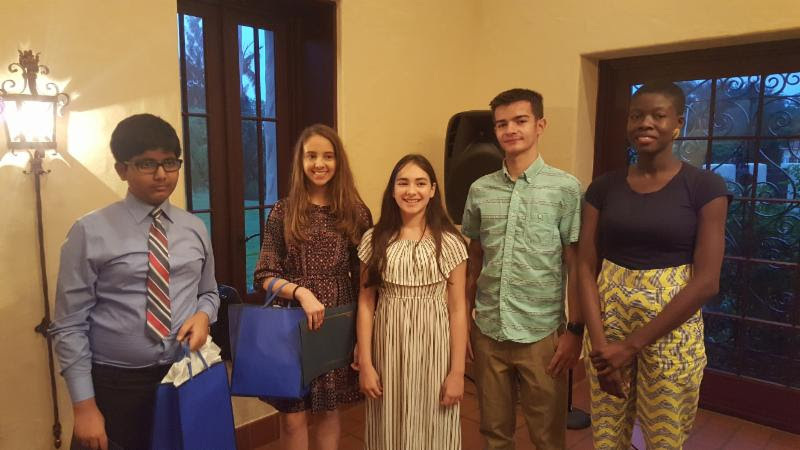 Congratulations to this Year’s Curtiss Explorers Contest Winners! On May 21st we hosted the Curtiss Explorers Essay Contest Awards Ceremony. Special thank you also to The Miami Heat for supplying a few more surprise gifts to the finalists. We also need to thank Nadege Green for mentoring our students, and all of the judges for all of their hard work. Thank you to everyone who participated, and made this event possible. And a very special thank you to Rita Mayer and all the librarians who helped make this such a success. This year’s Curtiss Explorers Essay Contest won an Achievement Award from the National Association of Counties (NACo). 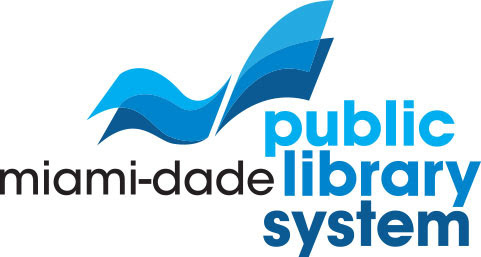 It was given for “MDPLS and the Curtiss Explorer Unsung Hero Essay Program Partnership” in the category of Libraries. We are very proud of how the Curtiss Explorers Contest has grown this year, and we are eager to see what it will become. 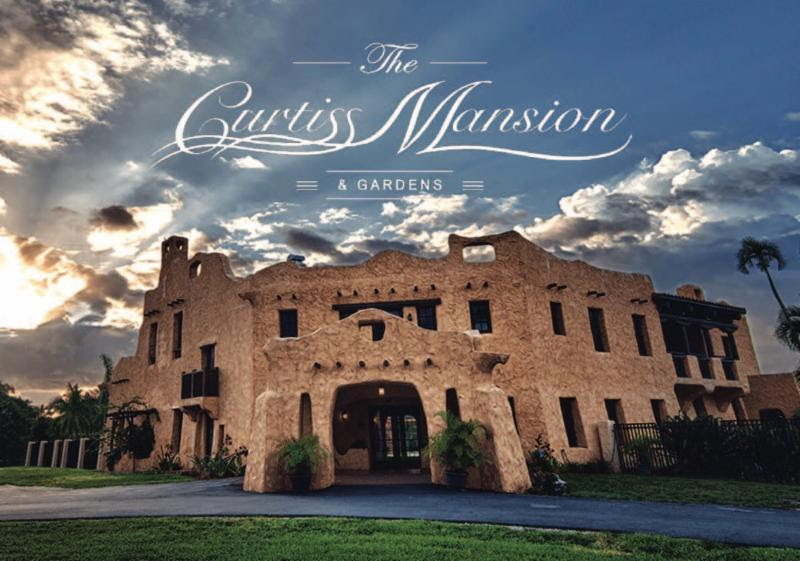 The Beach Channel Presents the Curtiss Mansion and Incredibly Catered Events! 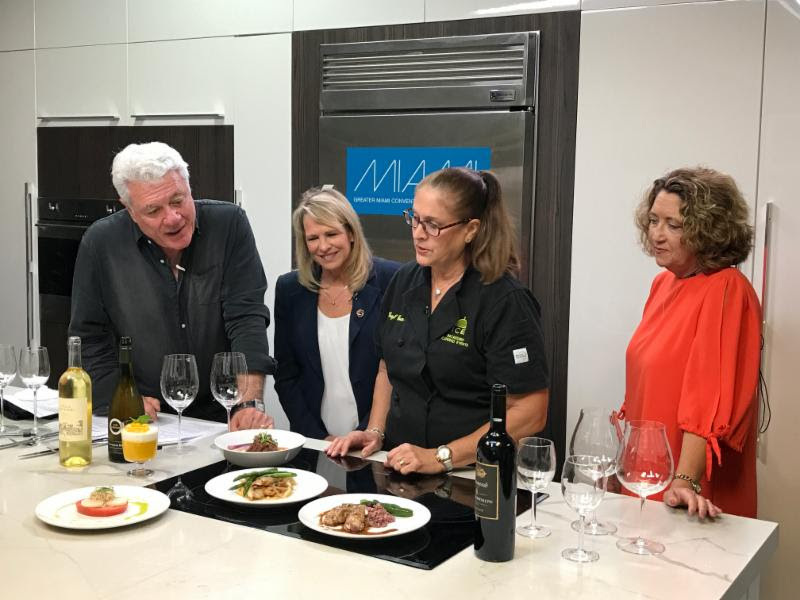 Watch Executive Director, Melinda Jester and Isabel Interian on Eat This. Drink That. Go! Learn about recipes that could have been served at a dinner party hosted by Curtiss in the 1920s from Isabel Interian, owner of Incredibly Catered Events. 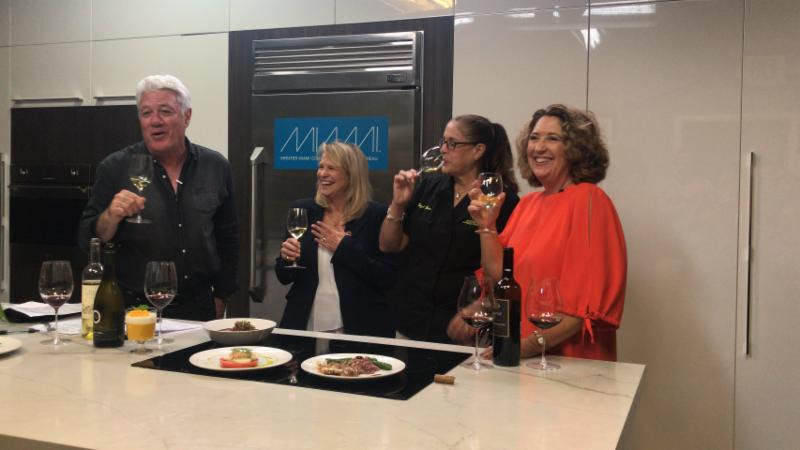 We appreciate being invited by The Beach Channel to come and share our story, and to the hosts Jimmy Cefalo and Brenda Basset for making us feel so welcome. Watch a segment now on YouTube by clicking HERE. 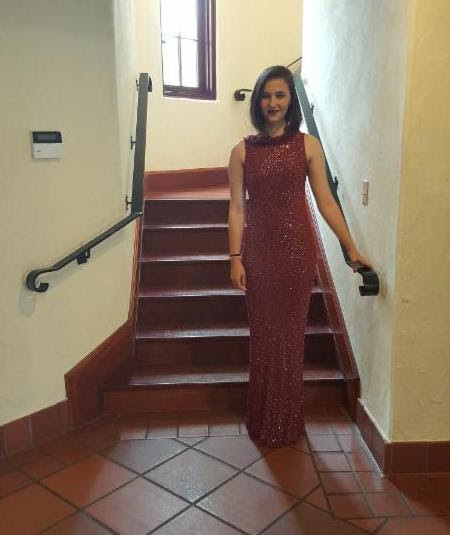 at the Coral Gables Museum! 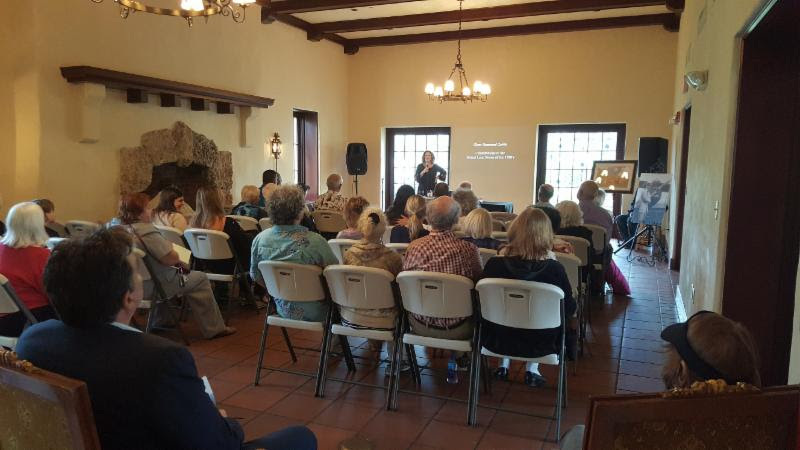 Melinda Jester was asked to represent the Curtiss Mansion as part of a panel at the Coral Gables Museum on May 30th. They discussed Glenn Curtiss, James Deering, and George Merrick as early developers of Miami, and their visions and architectural influences. 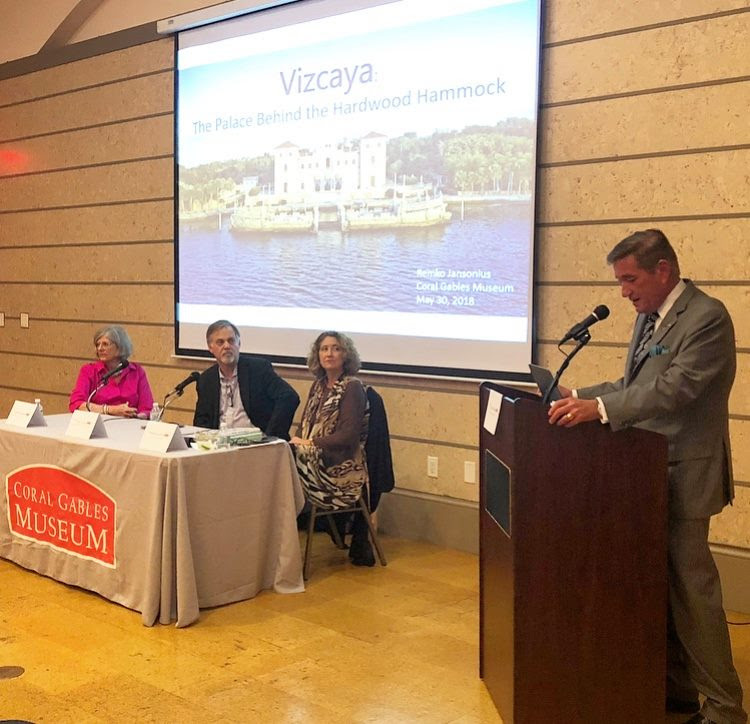 The other speakers were Remko Jansonius, Deputy Director at Vizcaya, and Dona Spain, Historical Resources and Cultural Arts Director, City of Coral Gables. We are grateful for these opportunities that allow us to share Glenn Curtiss’ story with people who have never heard it before. With two more similar presentations coming up they play and important role in bringing increased visibility to this forgotten part of history. 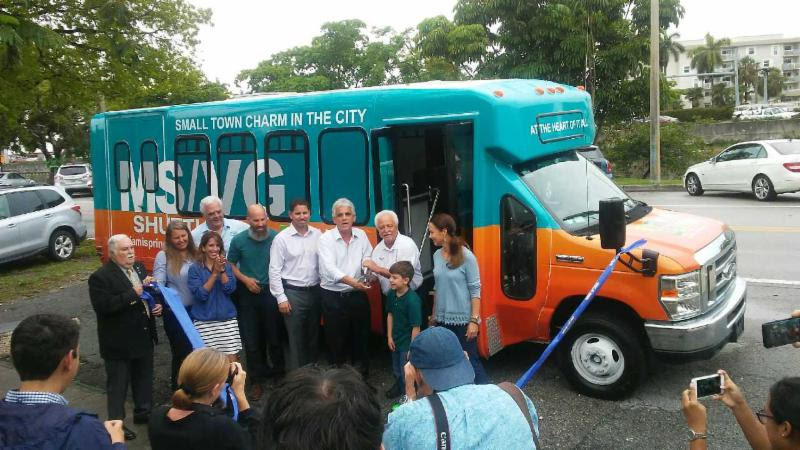 Congratulations to Miami Springs and their new Shuttle. The Curtiss Mansion is one of the stops on route. 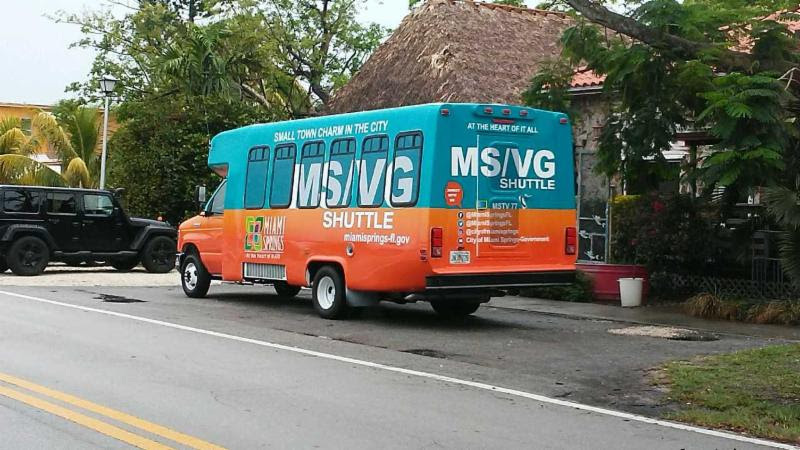 So take the bus to come say hello, or to take one of our tours every Saturday at 10am. Click HERE for a map of the bus route and hours of operation. Hope to see you soon! CMI Executive Director and board members, including President and former Miami Springs Mayor, Richard Wheeler, attended the Dedication Ceremony of the John A. Cavalier, Jr. Town Clock. Mr. Cavalier, Jr was a Miami Springs Mayor, following in the footsteps of his father before him. 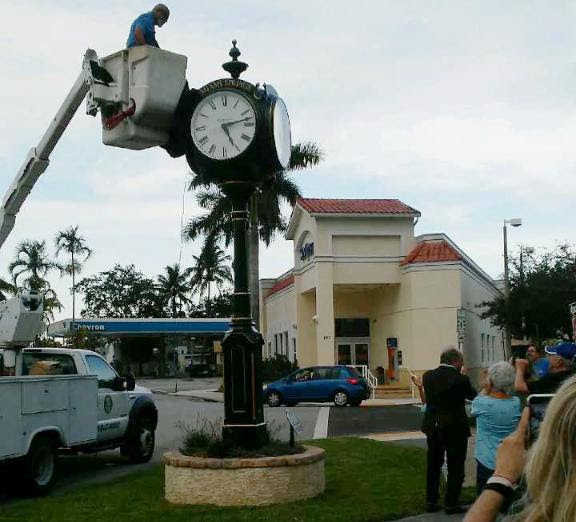 The clock is dedicated to honor Cavalier’s service to the town of Miami Springs. It sits at the end of the Glenn Curtiss Parkway on the Circle – right across from his first office and the Circle Gazebo he was a large part of initially bringing to our town. 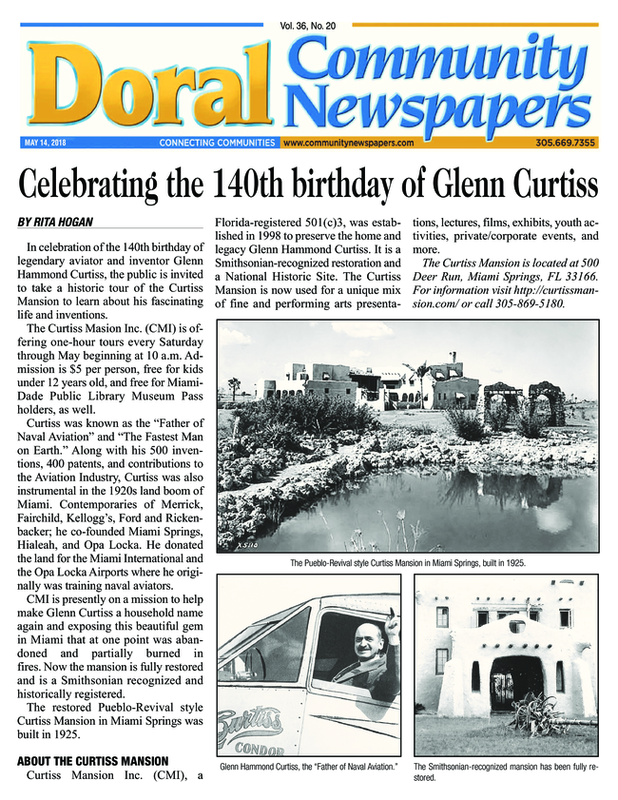 Glenn Curtiss’ Birthday in the News! Camp Invention at the Curtiss Mansion! Wild and crazy ideas become reality in this year’s all-new Camp Invention program, Fast Forward! Campers in grades K-6 explore the technology behind self-driving cars and create vehicles of the future, build their very own “smart” homes, design a mechanical robot dog and take home an Optibot, a robot that senses dark and light surfaces. Local educators lead the week of fun, hands-on, STEM activities that allow children to think big, explore their curiosity, and never give up! Early registration discounts are available, so don’t delay. 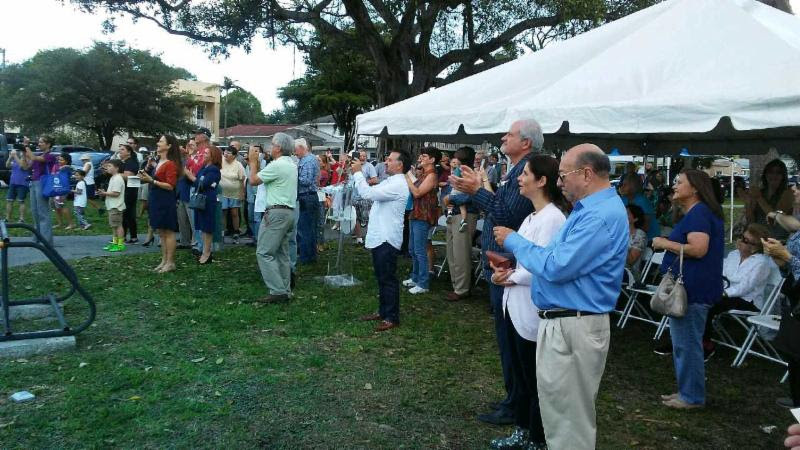 Contact Cari Martinez at CampInventionMIami@gmail.com for more information. There are still a few spaces left, but it is filling up fast. 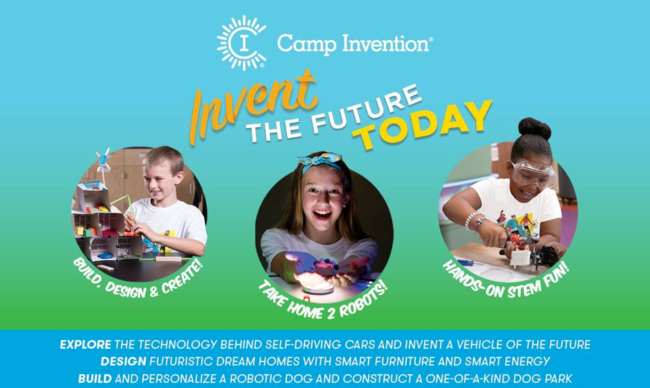 Reserve your space today by visiting campinvention.org or call 800.968.4332 to register. 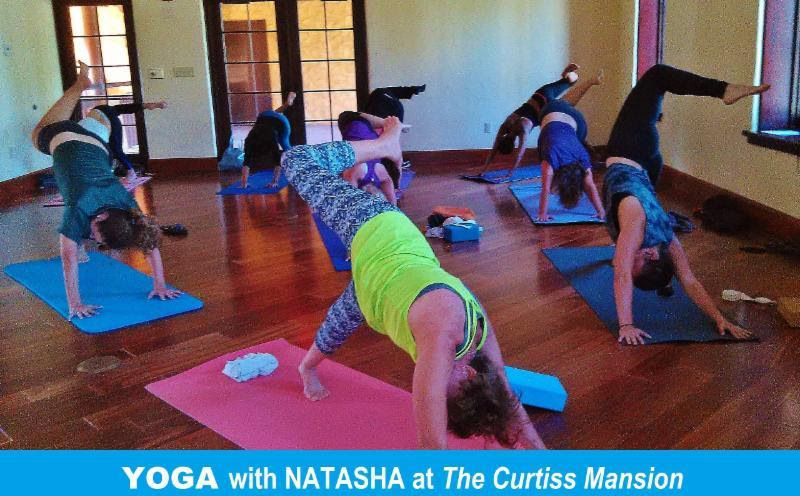 Don’t Miss Yoga with Natasha! 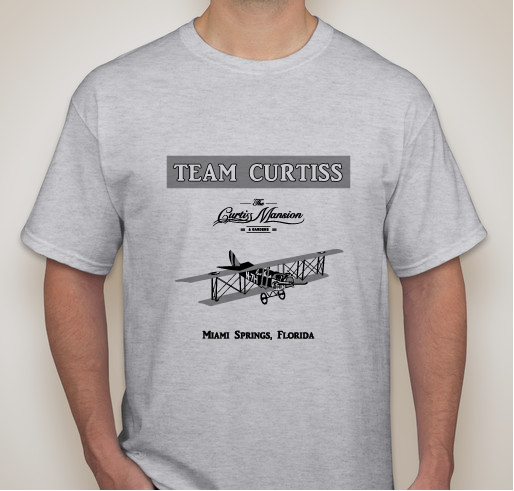 Stop by the Mansion to get your Team Curtiss T-shirt. Adult sizes cost $15, and kid’s $10. We have also recently opened a small gift shop featuring jewelry, specialty soaps and Pan Am memorabilia. With even more coming! Website shopping cart also nearing completion. Stay tuned for that. 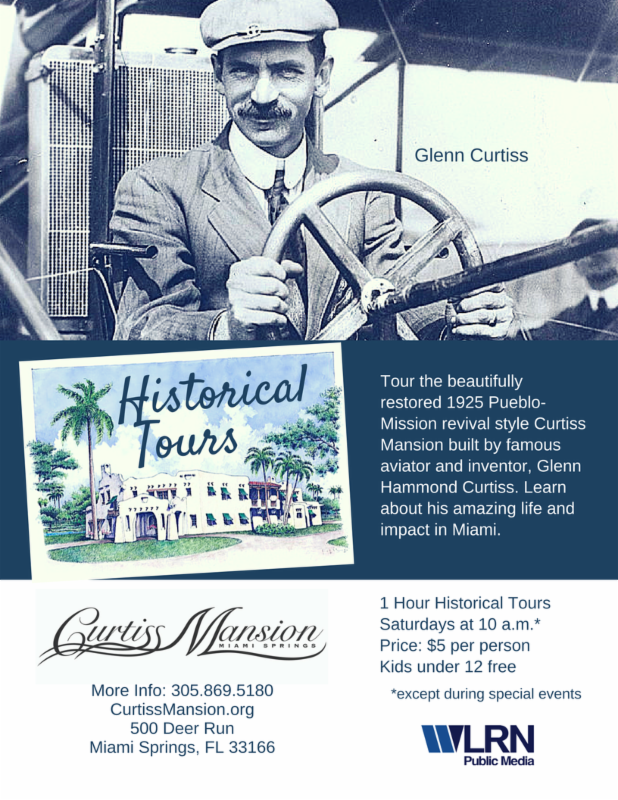 We are excited to announce that the Curtiss Mansion is now partnering with the Miami-Dade Public Library to bring you FREE passes to the Historic Tours on Saturday. You can find them at any of their 50 Library Branches and their Bookmobiles! The pass is good for up to 4 people. 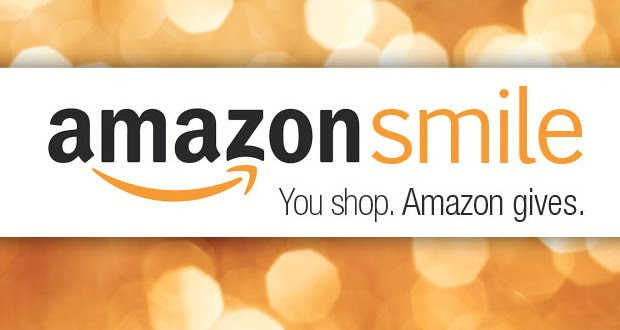 Click HERE to go to the passes. We hope to see you soon!